Marmalade is a sweet kitty who FACE was contacted about when he was diagnosed with a urinary blockage. FACE was thankfully able to assist Marmalade and his family and we recently received a kind update from his family. Thank you all for making saving pets like Marmalade possible! We wanted to reach out and give you an update on Marmalade. His surgery went well and he was able to come home with us today! 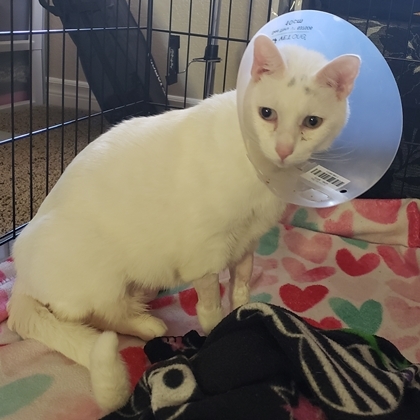 He was purring up a storm when he saw us and already seems to be feeling a lot better, even though he is still recovering.